Know your way around a sewing needle? The koalas of South Australia, Victoria, and New South Wales need your help. After recent bushfires ravaged acres of the marsupials’ habitats, animal-rights groups are making an urgent plea for cotton “burn mittens” for the injured. “On a normal day, [koalas] spend about 18 hours asleep in the fork of a tree and even when fully awake, they are slow-moving creatures with a top speed of only 10 kilometers an hour,” writes Josey Sharrad, a native wildlife campaigner for the International Fund for Animal Welfare. “In a fast-moving fire front, they are often the first to perish.” Babies frequently wait in burning trees, crying for their mothers, she adds. 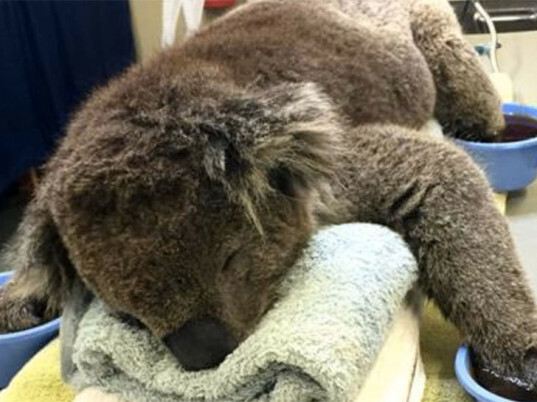 The organization is asking people to assist by sewing koala mittens—”as many as they can”—before fire season kicks into gear. (Summer for the continent began in December.) “Each mitten takes only minutes to make, even if you are not an experienced sewer,” says Sharrad, who adds that old sheets, tea towels, or T-shirts made from clean 100 percent cotton are ideal. Visit the IFAW’s website for a mitten template you can print and follow. Mail finished mittens to the IFAW at 6 Belmore Street, Surry Hills 2010 in New South Wales. Even if you’re all thumbs, there are other ways you can help. Simply make a donation to one of the animal-rescue clinics in the area. You can stand down now, crafters. Due to overwhelming response, the IFAW has achieved its mitten goal for the season. (“Mitten accomplished,” it quipped on Instagram.) Bandages, ointment, and other medical supplies are still required, however, so monetary donations are more than welcome. Know your way around a sewing needle? 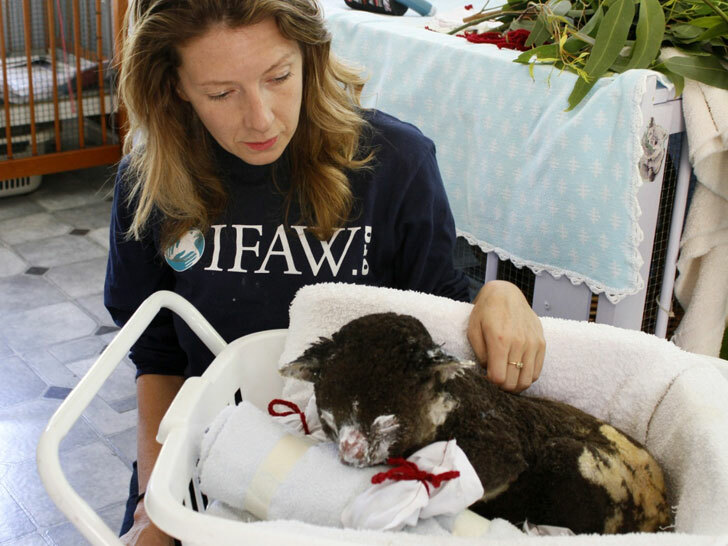 The koalas of South Australia, Victoria, and New South Wales need your help. After recent bushfires ravaged acres of the marsupials' habitats, animal-rights groups are making an urgent plea for cotton "burn mittens" for the injured. "On a normal day, [koalas] spend about 18 hours asleep in the fork of a tree and even when fully awake, they are slow-moving creatures with a top speed of only 10 kilometers an hour," writes Josey Sharrad, a native wildlife campaigner for the International Fund for Animal Welfare. "In a fast-moving fire front, they are often the first to perish." Babies frequently wait in burning trees, crying for their mothers, she adds.